I was gifted homemade vanilla a few years ago for Christmas & it is truly the most amazing gift I have ever gotten. I love that there are just 2 ingredients. I have been making it ever since. It is beyond easy & if you start it now it will be ready in about a month or two. 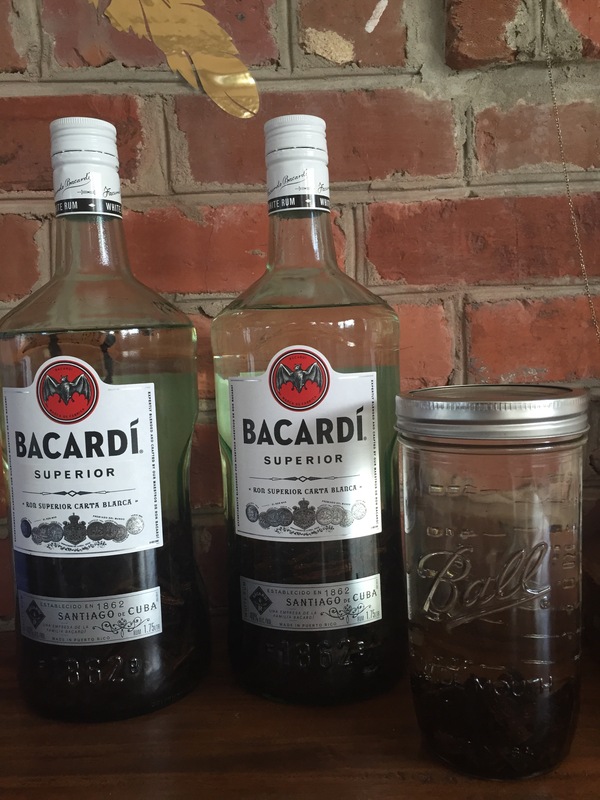 Pour off a bit of the rum into a glass Ball jar to give room for the vanilla beans. 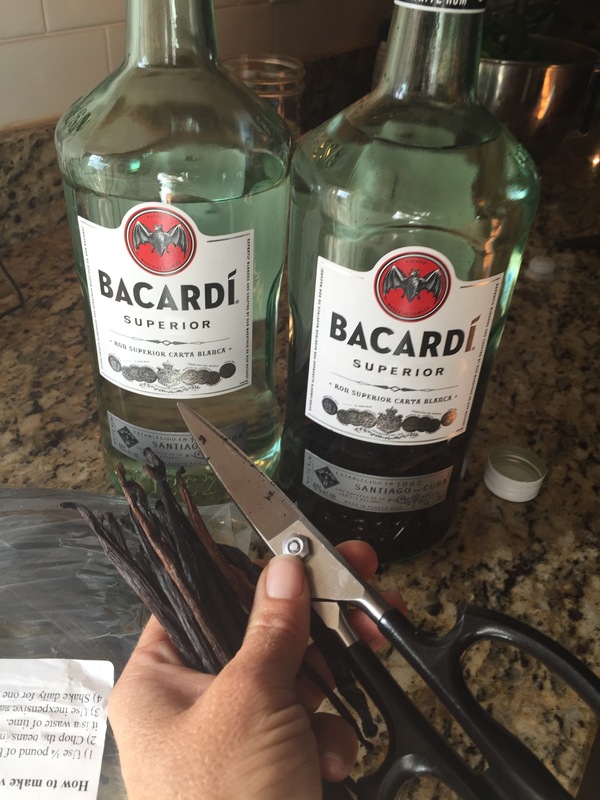 Cut vanilla beans into 2 inch pieces. ( I love my Cutco scissors for this) Split into equal amounts between the 3 bottles…… SHAKE!….SIT…. REPEAT…. Love & Glitter, Celeste The beginning of homemade vanilla. As always my go to Ball jar for the extra vanilla One month later & you can’t even see through it! 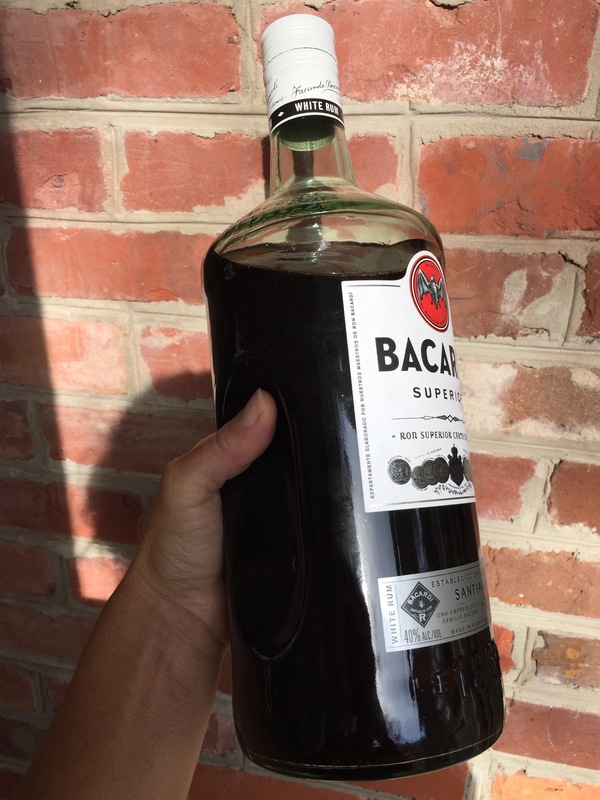 Gallery | This entry was posted in Eat Well, The Art of Living Well and tagged Bacardi rum, Ball jar, gifts in jars, Gluten Free, homemade, homemade vanilla, Love your food, vanilla, vitality. Bookmark the permalink.